A healthy team. How great to have Chavy back in the lineup and Duke on the mound?! Of course, the Coco Crisp and Michael Wuertz injury news is disappointing, but we’ve got to expect and anticipate hiccups like these along the way. Fresh, young talent. After watching Chris Carter and Michael Taylor at Spring Training, I’m optimistic for what’s coming down the pipeline. I have a feeling we’ll be seeing these two in the Coliseum before the All Star break. FANS. 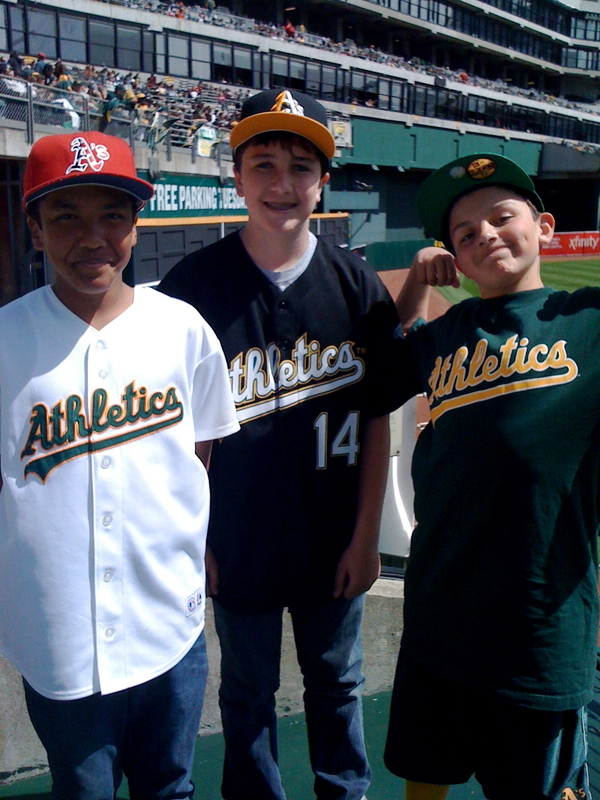 It’s people like you who make the A’s fan experience as special as it is. 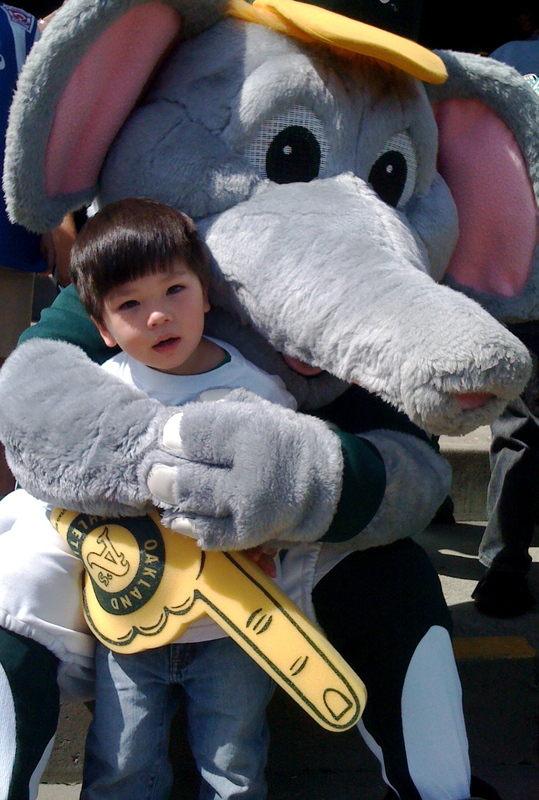 From our die-hard, 81-gamers to our youngins’ out to see Stomper, it’s you the team is playing for and you who makes my job so meaningful. And speaking of fans, here are 2 pictures I snapped at Saturday’s game vs. the Giants that just make me smile! It’s going to be a great season everyone — I can’t wait to spend it with you at the Oakland Coliseum!